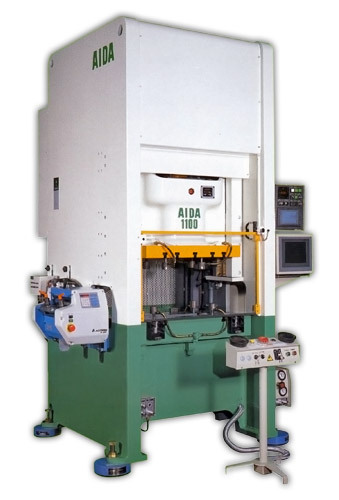 Available in both Crank and Link Motion The AIDA NS1 straightside press, available in both crank and link motion models, has a unitized straightside frame construction which reduces deflection and enables high-precision forming. 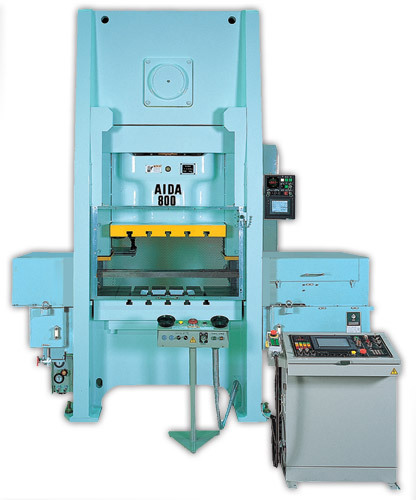 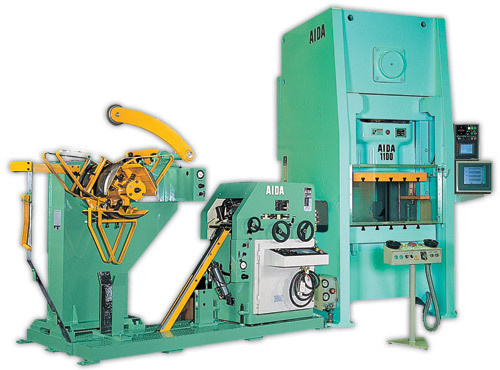 Features such as centered and full length slide guides, a forced recirculating lubrication system, AIDA's Hydraulic Overload Protection System, and more make the NS1 a high performance stamping machine. 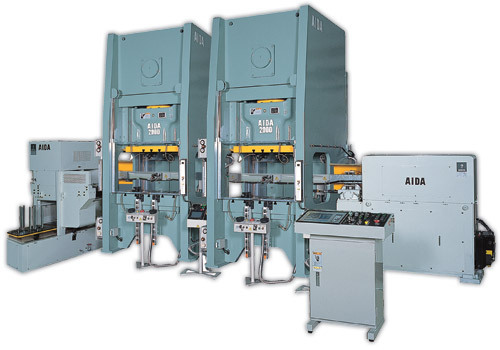 The optimum link motion of the NS1-NL Series, based on AIDA's long experience and continuing technology improvement is suitable for drawing, bending, and compression works, and it widens the application range of press working.